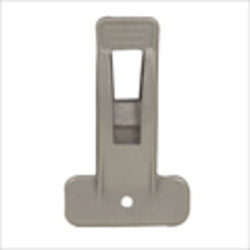 Our timeliness and qualitative approach helps us in offering premium quality Metal Hook Bottom Hanger . This hanger is designed and manufactured at our well-equipped production unit using optimal quality. ISO 9001:2000 certified organization, we are engaged in manufacturing, trading & exporting Plastic Hangers and Metal Hangers. Our range of products is appreciated by our clients for its durability & low maintenance.